The penthouse apartment that belonged to late investor Martin Zweig could soon hit the market for between $100 million and $120 million according to the The New York Post. The penthouse, inside The Pierre hotel on Fifth Avenue and Central Park, is a 12,000-square-foot triplex with a ballroom, four terraces, and views of Central Park. Zweig, a stock investor, investment advisor, and financial analyst, died in February. He paid $21.5 million for the penthouse back in 1999, setting a real estate record at the time. The apartment has not yet been officially listed. 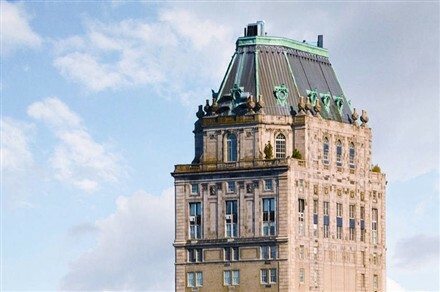 But if it is listed for more than $100 million, it will become the most expensive apartment for sale in New York City.